Linda began her working life as a Biologist in the pharmaceutical industry. After 3 years working on laboratory-based research, she felt the growing need to work with people more directly. 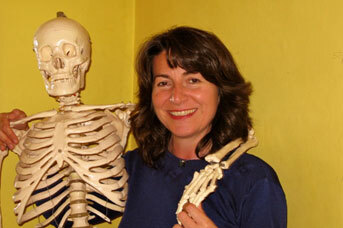 Her fascination with how the human body works led her to qualify as an Osteopath in 1993, after completing a four-year full time degree in Osteopathy at the British School of Osteopathy in London. With an expanding patient base, she established the Brentwood Osteopathic Centre in Brentwood, Essex in 2001, where she worked with a team of highly trained associates. Thirteen years later, after a brief sabbatical, she downsized her practice to its current location in Billericay Essex, where she now enjoys being a Billericay Osteopath; with the focus being on patient care. Linda has always enjoyed an active lifestyle, and believes her background experience in martial arts and dancing help her appreciation of the amazing human form that we all share, as well as keeping her mentally and physically fit.